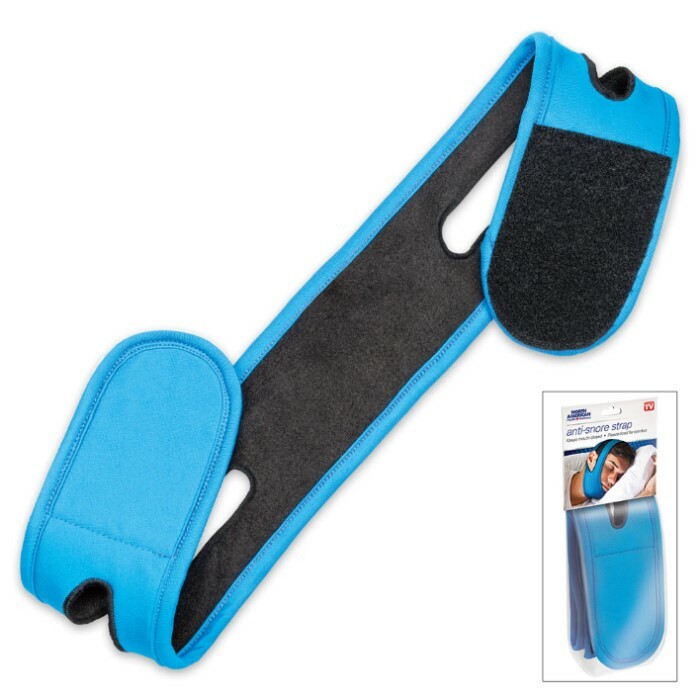 Anti-Snore Chin Strap - Adjustable | BUDK.com - Knives & Swords At The Lowest Prices! Snoring can be a big problem, destroying the peace of your good night’s sleep and causing tension between bed-mates. 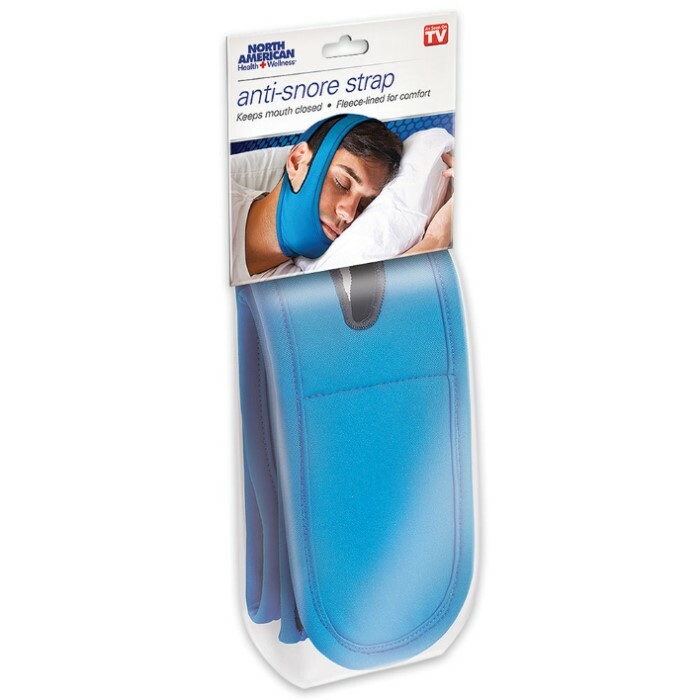 The Anti-snore Chin Strap is an adjustable strap with hook-and-loop fasteners that surrounds the head and chin to help keep the mouth closed and reduce snoring while sleeping. It is made of a soft, fleece-lined fabric and a polyester-spandex blend with openings around the ears for added comfort. It may also help prevent dry mouth and sore throat, and even works to increase REM sleep. The chin strap is 29" x 3" and will fit most adults.